There are a couple of additional MeeGo complications. The first is probably help keeping it afloat, at least as alive as it is now: remember that MeeGo is a cooperative effort between Nokia, bringer of the Maemo half, and Intel, bringer of the Moblin half. Intel’s been holding MeeGo developer initiatives all across the US, and likely beyond, trying to drum up interest in the platform and getting devs to at least semi-commit to building apps. Intel is understandably freaked out by the rise of mobile devices — they’re not really even in the game right now and there’s little indication that anyone has plans to adopt future Intel processors — so they’re likely eager to ensure at least one mobile OS is well built for them. I imagine they’re pressuring Nokia (to the extent that they can) to keep MeeGo alive. It was quite a surprise to me that the N9 uses a TI processor. The other complication is that Elop has solid reasons to kill MeeGo. He seems to have Microsoft blood in his veins, so WinMo 7’s ultimate fate is likely important to him. Add to that his public declaration of Nokia’s future and MeeGo can’t survive. 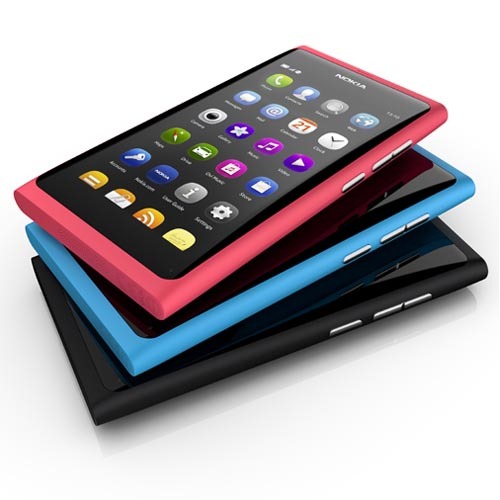 My guess is the only reason the N9 made it to manufacturing is that the some portion of Nokia’s board insisted on it. The N9 has a TI processor because Nokia haven’t gone even halfway to meeting Intel on MeeGo yet. The N9’s “instance of MeeGo” (to use the rather strange official description) is still built around the Debian Apt software install/update system, rather than Red Hat’s RPM like MeeGo is supposed to use. That’s pretty fundamental. That nice new interface with its curved screen and edge-to-edge swipe gesture is very much a handheld interface, clearly not compromised for tablets or in-car device. MeeGo 1.x is really Maemo 6. It even runs happily on the N900! With the exception of using fewer closed-source components, Nokia have pretty much made the phone they were going to make anyway. A real MeeGo is still some way down the road.